Tickets available on the door @ €15 (Student €5). Waterford Music’s contribution to the Imagine Arts Festival takes place on Thursday 26 October at 7:30 pm in the City Hall, Waterford. Admission is just €15 at the door, and €5 for students/children, and includes free soft drinks at the interval. 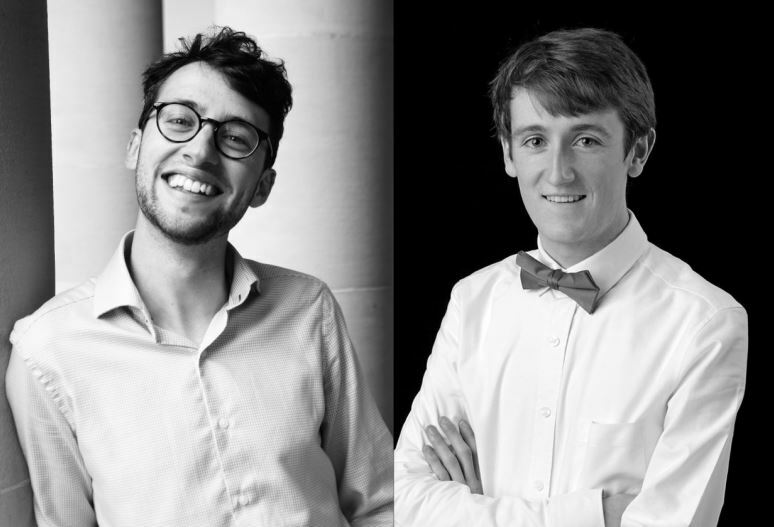 The concert features not just one but two up-coming Waterford-born pianists, Billy O’Brien from Butlerstown, Waterford city, and Daniel Kearney from Dungarvan. Billy and Daniel say they are really looking forward to this opportunity of playing on our magnificent Steinway piano in the Large Room in City Hall, with its superb acoustics. Their programme consists of solo piano pieces, ranging in date from J.S. Bach (b. 1685) to Nicolai Kapustin (b. 1937). For their final piece Billy and Daniel play together as “four hands” on one piano, in Debussy’s Petite Suite. Billy began studying the piano at De la Salle College, Waterford, and currently studies in Paris under the renowned Russian teacher Rena Shereshevskaya. Billy’s debut as a soloist with the RTE Concert Orchestra in August 2016 was broadcast on Lyric FM. Daniel has studied with Jan Cap in Cork and currently with Finghin Collins; he has won prizes in the Cross Border Orchestra of Ireland’s Soloist competition and the William Finlay Award for gifted young pianists. This entry was posted on October 18, 2017 by waterfordarts in Concert, Festival, General, Musical and tagged Billy O’Brien, City Hall, Daniel Kearney, imagine arts festival, Waterford Music.